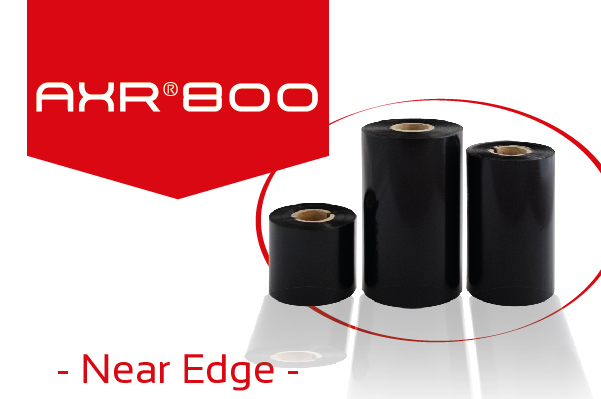 AXR® 800 is dedicated to applications requiring a very good level of chemical and heat resistance in addition to a perfect printing quality and excellent mechanical resistances. The ribbon structure allows printing on many kinds of synthetics (PVC, PET, PE, PP) and on various matt and glossy coated papers. The printed image offers an excellent smudge and scratch resistance, very good heat resistance, up to 250°C and very good resistance to various solvents. Those characteristics remain at speeds up to 200 mm/s (8 ips) and with 200, 300 and 600 DPI printheads, making this ribbon perfectly adapted to the durable labelling market and allowing its use in the flexible packaging printing market.